Are you concerned about fungal nail infections? Are you worried about stepping out in open shoes? If you are frustrated by fungal nails that won’t respond to treatment, then this information is important to you. Most fungal nail infections that have lasted for more than 4 months, typically gets worse despite topical creams and ointments being applied. The longer the infection lasts, the harder it is to remove and the chances are you’ll develop an even worse the infection which becomes chronic and contagious. You don’t have to let this happen to you. Imagine stepping out of your shoes with healthy clear nails again. Call us today to get results! Have you tried over the counter or home remedies and found they don’t work! As report by the National Institute of Health. Tried home remedies like tea tree oil and Vicks with no success? Concerned about trying oral medications that can hurt your liver function? What the experts say – sadly the news is not good, most of these treatments are ineffective as they DO NOT penetrate the nail. The report goes on to suggest in no uncertain terms that hydrogen peroxide does not effectively treat toenail fungus. Are you looking for a reliable answer to Fungal nails? Medical Grade Thermal Laser has emerged as a safe, reliable therapy for fungal infections in nails. Medical research has found Thermal Laser to be more effective than both home remedies and pharmacy-based paints and ointments. Thermal Laser also has none of the side effects that oral medication comes with, making it a very attractive alternative. 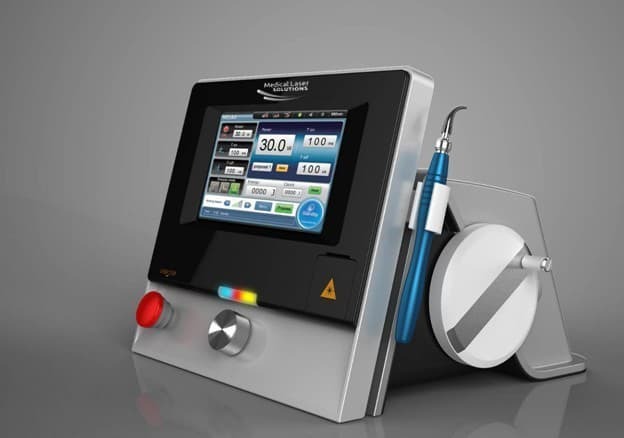 Why choose Medical Grade Thermal Laser? Safe – No side effects! Are you confused about which laser is best? Not all Lasers are the same! Over recent years more lasers have appeared on the market. Medical Grade thermal Laser backed by ongoing research continues to stand out as the treatment of choice for patients with difficult to treat Fungal nail infections. Medical grade Thermal laser is currently the number one treatment for fungal nails! It’s quick, reliable and effective. Developed decades ago Thermal laser kills the nail fungus by penetrating and then heating the base of the nail plate to kill the spore and fungus! What about other lasers on the market? Thermal laser uses Heat which the fungus can’t live through. It doesn’t us gimmicks or magic lights. There is no leaving your feet in a machine hoping those magic light will kill the spores. To reliably and effectively treat fungal nail infections you need a specialized consultation with a qualified professional to hone in and hunt down the fungus. You need to use a highly focused laser to kill them in their tracks! Our highly skilled clinicians treat apply the Medical grade Thermal Laser in a one on one consultation. You are NEVER left in a room by yourself with crossed fingers while a machine sprays laser over your skin and nails. Laser treatment passes a beam of laser light at very high spectrum over the infected area. Laser heats the inside of the nail + tissue underneath gently raising the temperature to between 45 and 50 degrees. This kills both the fungus and its spores or eggs that are in and around the nail. This laser is specially calibrated to kill both the fungus and its spores. Laser is safe and relatively painless and takes approximately 45 - 60 minutes to treat all 10 toenails. No need for anaesthetic or operations. Treatments are performed in specially prepared treatment rooms. Would you like a quick idea what treatments could be best for your Fungal nails? Try our online assessment tool! Answer these simple questions and our calculator will instantly provide you with a detailed Personalised Report with Treatment recommendations specifically for you to help beat your Fungal nails. Your personalised report will also guide you through our Educational resources library to help you take the first steps to resolving this nasty problem! If you’d like more information before you begin the battle with this nasty? 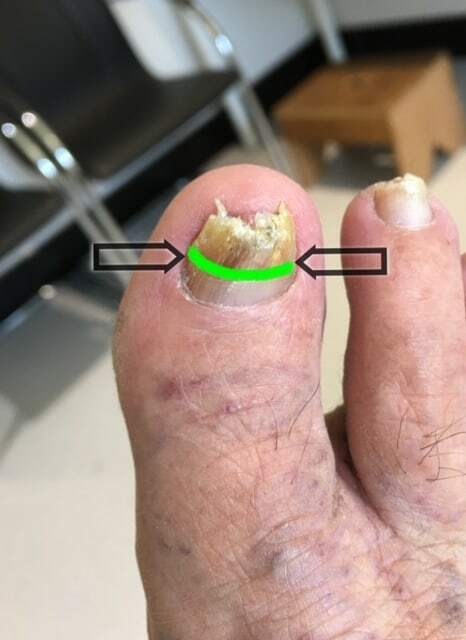 Download Dr Brenden’s detailed report on the “Fungal Nail Infections – 6 things you must know to beat them” As a recognised expert in lower limb health with over 20 years’ experience, Dr Brenden outlines what’s stopping you from beating this and tips on how to stop it in its tracks! If you are frustrated by unsightly, malformed, split or brittle nails, then this information is important to you. Thickened, discoloured, brittle or split nails are a common result of trauma to your nails bed. The results of the trauma are often thought to be permanent, you may have been told that there is “nothing that you can do” to change the unusual look of your nails until now with the introduction of KeryFlex nail restoration system.